Wärtsilä will supply two Finnish icebreakers with catalytic converters designed to significantly reduce emissions of nitrogen oxides, which are harmful to the environment and to human health. The ships will also be converted to enable the use of Ultra Low Sulphur Diesel fuel. Wärtsilä, the marine industry's leading solutions provider, has been contracted by Finland-based Arctia Offshore Oy to carry out modification work to two of the company's vessels. The contract was signed in September 2011. The turnkey project involves the fitting of combined Wärtsilä NOx Reducer (NOR) and Oxidation Catalysts (OXI) to the MSV Fennica and MSV Nordica, both of which are multi-functional vessels based on a modified icebreaker design. The ships will also be converted to enable the use of Ultra Low Sulphur Diesel fuel. When this conversion work is completed, the vessels will fulfil the United States Environmental Protection Agency's (EPA) emission requirements for operating in the Arctic Ocean. This opens up the possibility for Arctia Offshore to participate in arctic oil exploration projects in an environmentally sustainable manner. The work will involve fitting the combined Wärtsilä NOR/OXI solution to each of the eight engines that drive the two vessels. The installation schedule is divided into two parts, with the first set scheduled for completion by the end of December 2011, and the second set by the end of April 2012. "This represents yet another example of Wärtsilä's competence in designing integrated solutions that are both technically advanced and environmentally sustainable. The conversion work that we will carry out on these two offshore service vessels will not only reduce their environmental impact, but will notably enhance their operational capabilities by allowing them to work in the sensitive environment of the Arctic Ocean," says Leonardo Sonzio, Director Environmental Services, Wärtsilä. Services is one of the three Wärtsilä's businesses alongside Ship Power and Power Plants. Wärtsilä Services offers services to both the global marine and energy markets and operates the most extensive service network in the industry. The company's extensive portfolio of services includes spare parts and field services, as well as the servicing of engines, propulsion systems, electrical and automation systems, and boilers. It also covers environmental services and solutions, upgrades and conversions, long-term agreements for engine and propulsion systems, as well as training services. Wärtsilä's Services business is also in the forefront in developing new service concepts to meet customer needs for optimal operational efficiency. Wärtsilä Services operates some 70 fully owned workshops and employs over 11,000 services professionals. 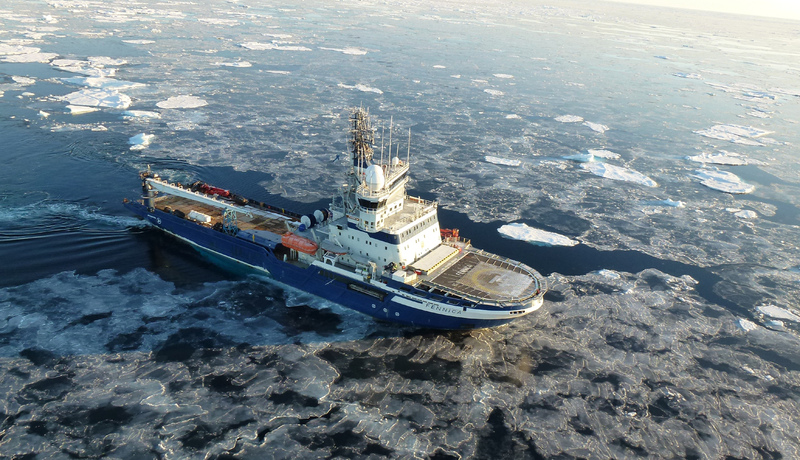 Arctia Offshore Ltd is part of the Arctia Shipping Group and maintains three multi-purpose icebreakers. In addition to icebreaking tasks in Finland, the vessels provide e.g. support services to oil and gas industries around the world. Arctia Shipping Ltd is a limited company owned by the state of Finland and specialises in icebreaking services, special services provided by multipurpose vessels, international freight shipping, ferry traffic in the Finnish archipelago and oil spill response operations. Arctia's fleet consists of four conventional icebreakers, three multi-purpose icebreakers, one oil-recovery icebreaker and eleven vessels used for ferry service in the Finnish archipelago. Founded in 2010, Arctia Shipping Ltd carries on the business activities of the former Finnish state shipping enterprise Fintaship.